The University of Mississippi Medical Center (UMMC) has made a few ground-breaking discoveries—literally. 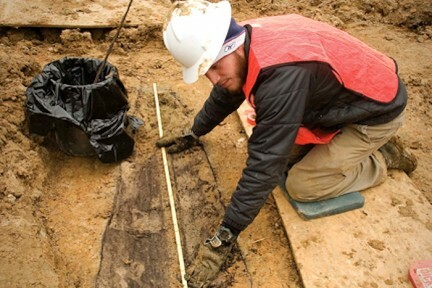 In November 2012, workers with the UMMC construction team were taking top-soil samples in an effort to determine whether or not the dirt and clay would support a new access road to the undeveloped (though soon to be so) northwest corner of their property, when they came across something they didn’t expect: a wooden coffin. Just one at first, and then more. And more. Now, with approximately 66 unmarked graves found resting just three feet below the surface, the development of the road, and its subsequent projects—namely, a Hope House in the northwest corner and a 1,100 car parking garage to the south—has come to a temporary, yet grinding, halt. Where there was previously a construction zone for this new development project now lies a fenced-off dig-site headed by Mississippi State’s Department of Archeology. 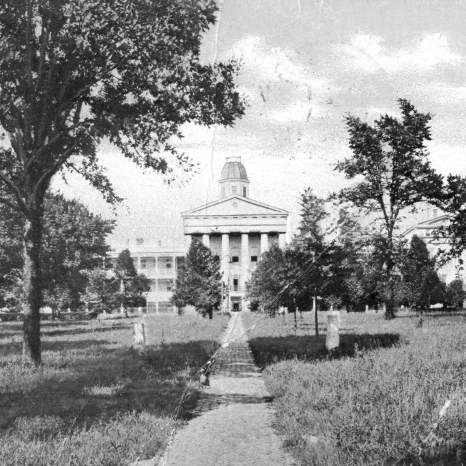 And such mentality about the people admitted to the “hospital”—called such, although its only method of treatment in its early years was peaceful detainment—was demonstrated even in the antiquated nomenclature of the institution which was first designated as the Mississippi State Lunatic Asylum, and renamed in 1900 as the Mississippi State Insane Hospital. Therefore, because of preconceptions of behavioral illnesses, people were admitted to the hospital to live and die away from the rest of society—which thus begs the question: Just how many more graves will Mississippi State’s Archeologists find (that is, if not found by UMMC’s Construction Team first)? One may look to McCain’s findings from a report made to the Mississippi Legislature on November 2, 1857, to infer answers to this question. In his book he notes, “Since January 8, 1855, [the official opening date of the facility], a total of 150 patients had been admitted. Sixty-seven, of whom 17 had died, were listed as ‘discharged,’ leaving a total of 83.” Therefore, if 17 patients had died at the asylum in its first three years, how many more passed away in its entire eighty years of presence in the then-named community, ‘Sylum Heights? The 66 graves that have been found in recent months—combined with the 44 that were uncovered in 1992 during the laying of underground pipes for the medical center’s new “Laundry” building—point to the possibilities of a much larger burial area than previously expected—or seen, as there is little to no evidence, above ground, of any graves below. To highlight this point, as done so by Janis Quinn in Promises Kept, a compilation of all things UMC, “At the end of 1891, the asylum had 471 patients.” And a mere 35 years later, in a report from the superintended of the asylum during the 1920s, the hospital was nearing its capacity in early 1926 with 2,000 patients. Put these two stats together and the sequitur is frightening. Makes you want to travel back to 1855, right? Okay, maybe not. 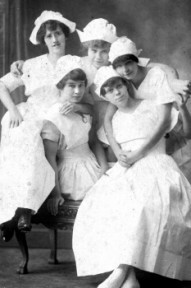 Early assumptions and stereotypes of mental illness, combined with a lack of proper medical technologies and treatments—not to mention a fire that nearly burned the institution to the ground not long after its initial opening—would be enough to inspire any young Hitchcock looking to shock audiences (thereby discouraging many a Fondrenite to research his or her neighborhood’s early roots in the process). And dig they must—with Mississippi cultural history waiting to be discovered, analyzed, and recorded alongside UMMC’s progress and consequential expansion, there is really no time to lose.